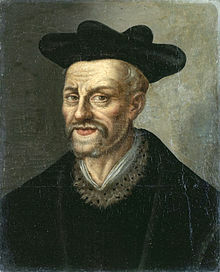 François Rabelais (1483 ? / 1494 ? — 1553) wis a notable humanist French writer. Wikimedia Commons haes media relatit tae François Rabelais. This page wis last eeditit on 9 Februar 2018, at 00:59.